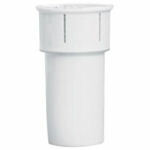 This pitcher filter reduces sediment and over 95% of the bad taste and odor of chlorine. This is a genuine OmniFilter pitcher replacement cartridge. This Omni Filter Water Pitcher Filter (PF-500) allows you to keep filtered drinking water on hand at all times. Using a standard pitcher filter cartridge, this Omni Water Filter pitcher reduces sediment and over 95% of the unpleasant taste and odor of chlorine. The Omni Water Filter PF-500 pitcher has a built in electronic LED cartridge replacement indicator to remind you when it is time to change the included PF-300S Omni Water Filter cartridge. The compact, space saving design of the Omni Water Filter PF-500 allows it to be stored in most refrigerator doors. It is an ideal pitcher for dorm or office fridges. In addition to providing filtered water for drinking, you can also use the OmniFilter pitcher to filter water for drinking, cooking, making coffee or tea, and other common household applications. 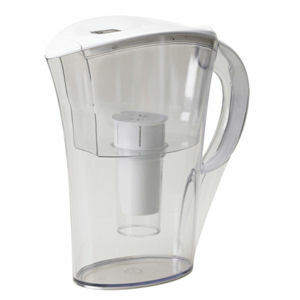 This OmniFilter pitcher includes a limited 1 year warranty. comes with PF300S filter cartridge.